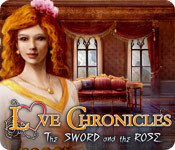 Love Chronicles: The Sword and The Rose is rated 4.2 out of 5 by 47. Rated 5 out of 5 by SparkleGlow100 from TOTALLY ENJOYED IT! Beautifully drawn. There was just such a nice, relaxing atmosphere in this game. I was surprised at how nice it was. Lots of old, musty, rooms to discover, with old books and rugs around. Very almost early Disney-like artwork. Didn’t fit my screen like newer games, but the quality was so good that I really didn’t notice. LOTS OF HOS: mostly regular with minimal interaction and also lots of ones where there was find 15 of these, and 20 of those. Lots of puzzles. You have 33 rose petals to collect, which is part of the game, so it’s included in the SE. There are several times you have assemble something. The parts are already provided, you just have to fix them together according to a diagram. It was easy just not particularly enthralling, but it’s such a small part of the game anyway. Hint button took about 40 seconds to recharge. I think there were two modes, casual or hard. Only 2 sound controls. The ambient sounds were linked in with the music. Music is appropriate and very nice in my opinion, but does get repetitive. No actual talking, you get the conversation running in bands along the top (older game). All of the things that I would normally find negative in a game are stunningly negated by the impressive quality of the artwork, and creation of this world. Not an ‘exciting’ game, I found it to be a very relaxing and atmospheric game. Rated 5 out of 5 by simonthedog from Finally a challenging, creative game!! It has been a while since I have encountered anything that really challenged me, and this game was it!! I even skipped a puzzle, which I never do!! There is one glitch in the good/bad card game in the SE version (do not know if the CE has the same problem), but I liked the game so much, I still gave it 5 stars. The HO scenes were varied and contextual, and the items you needed made sense! I also liked the added games of putting something together. Just the right amount of back and forth; at certain points you progress forward past a point of no return. I also liked having to turn cranks and move things myself. Not a lot of slow videos or boring dialog either. A very nice game!! Rated 5 out of 5 by Mickey107 from A Terrific Game! This game was a perfect mix. Lots of really good games, not excessive with the HOS, most of which were reasonably clear. There was no map which I usually like, but in this game it added a little more challenge. The hint button recharged fairly quickly and could be used during the game, directing you to a room where something needed to be done. It was only a picture of the room so you had to remember where it was or move around some until you stumbled onto it..lol A game I will be able to play again. Rated 5 out of 5 by mousehse from great game got so involved wanted to finish, this is a great game that keeps you guessing until the end! Rated 5 out of 5 by Chickadees3 from Wonderfully Entertaining This is a game I totally enjoyed. I didn't play the first one in the series so can't make a comparison but this second game is excellent. It has beautifully drawn & colored artwork and a cohesive storyline, although not a unique one. For the most part the hint system sufficed yet there were a few times I couldn't figure out what to do next & the hints didn't help. Thank goodness for WT's. 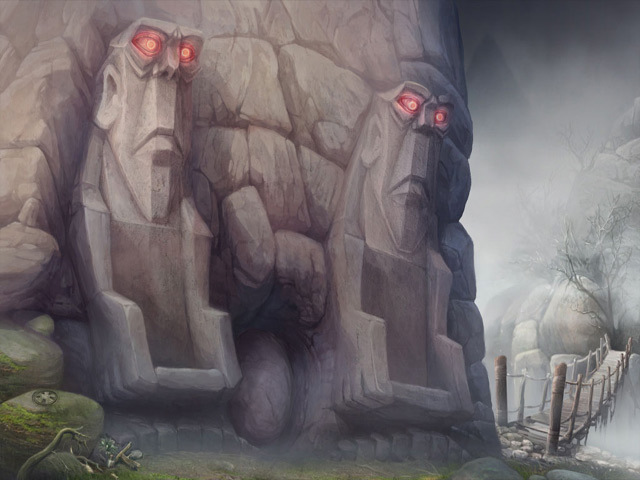 The gameplay had some very unique and imaginative visuals and things to do. One example is the embroidery-it actually seemed I was doing a cross-stitch, which is something I enjoy doing. And the 'mobile home' - what a creative idea that was! I may have to try the first game in this series and I'm hoping for another sequel. As a COTW, this game is a steal and I highly recommend it. Rated 5 out of 5 by FishyFemale from Visually my kind of game! Since I realized that how a game looks overrides how good of a story it has, let me just say that I love this game! The story starts out promising but then just sort of falls flat and never really picks up until the end. Which, by that time, is too late for those who demand great storylines from their games. But I'm just a casual player who plays for recreation and relaxation and want to enjoy looking at every scene I come across. With that said, this is just a gorgeously rendered game done in mostly pastel shades. I was sold from just looking at the preview and the thumbnail of the sleeping tree, but being a wise consumer, I always play the one hour trial and read the reviews prior to buying. And I wasn't disappointed. There's so much whimsical attention given to this game with the above said tree and the house with the moving legs, for example. 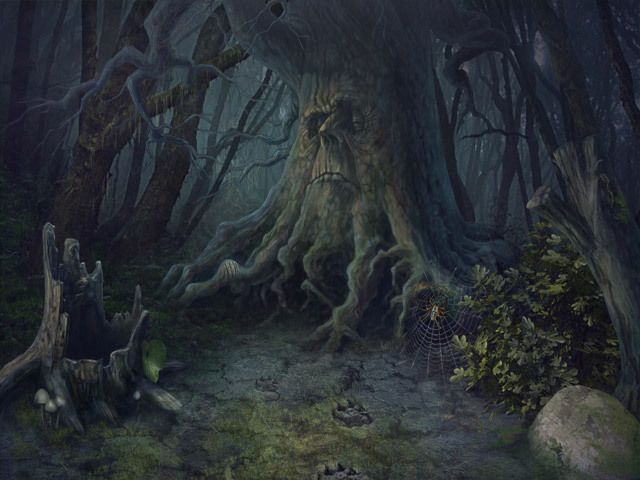 And the hidden object scenes are a combination of the traditional scattered kind, a certain number of same item, and fragmented objects to be assembled to make larger objects. 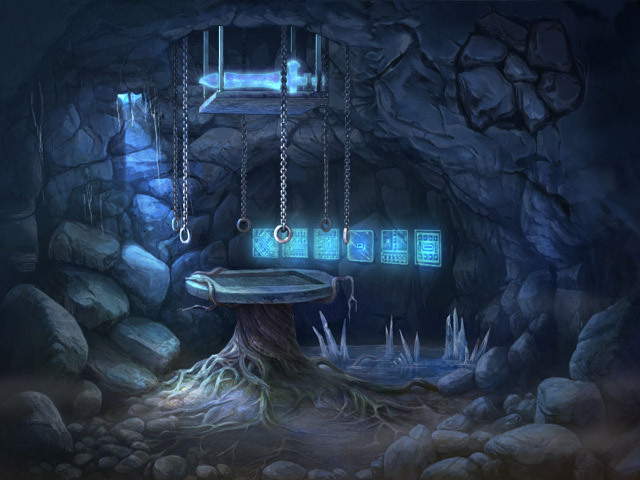 The puzzles are varied and challenging and each colorful scene is just a joy for me to sit and stare at. I almost feel like I am looking at pictures from an art gallery. The colors are muted and understated which make the game stand out from others and it was such a satisfying experience to play. Rated 5 out of 5 by LavaReign from excellent game I played on expert mode, great level of difficulty for an intermediate player. The graphics were very nice even if a little dark, but no over the top creepiness if you're tired of the horror stories. Many HO scenes require you to put a contraption together after you find all the parts, which adds something fun and different. Hints are very helpful, if you're not in the right scene they'll show you a picture of the scene you need to get to and accurately direct you to the next action. The game is hardly a sappy love story thank goodness, I'm not sure why it's called Love Chronicles at all, but more so a prince trying to free an island from a witch's black magic. The journal is helpful and really pretty, like a scrapbook, although it's out of order at times and shows things you haven't even done yet. Rated 5 out of 5 by Scarlitlake from This is my favorite kind of game! Not too hard, not too easy, with beautiful graphics and interesting challenges. Rated 5 out of 5 by possumb from Delightful game this kept me entertained. Sometimes I wondered if I found all the frozen roses, which, by the way, kept the storyline going. Many delightful scenes, puzzles extraordinare [loved the stiching!] and then it ended - so sorry let it go! Loved it.